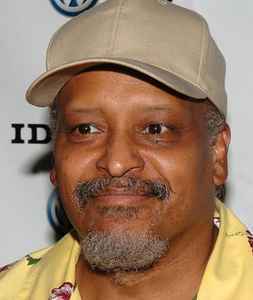 James Mtume was raised in a musical family where his father and uncles formed a band "The Heath Brothers". Already in the sixties, James Mtume studied percussion and soon after this, he also acquired the guitar playing skills. It didn't take long before he played together with artists like Herbie Hancock, Joe Henderson, Freddie Hubbard and eventually became the percussionist for Miles Davis. In the Miles Davis band, Reggie Lucas played guitar, and it was with Reggie Lucas that James Mtume started a song writing partnership. The duo Lucas/Mtume wrote numerous tracks for various artists in the timeframe 77-82. Without a doubt, the most famous being the all-time Stephanie Mills classic, "I never knew love like this before". It was for his own project, Mtume, that James Mtume applied his most innovative sounds. The first result was the album "In search of the rainbow seekers" The Mtume band also featured the remarkable and perhaps one of the most underrated vocalists : Tawatha Agee. As a band, Mtume scored its first big success with Juicy Fruit, the title track of the second album. Numerous artists have sampled this superb classy funk combined with a touch of eroticism masterpiece. In 1984 James Mtume took one step further into his very own style of sparse minimalistic heavy percussion based funk sound. Today his 1984 "You me and he" album stands like the ultimate Mtume album. In 1986, Mtume hits the music stores again with the album "Theatre of the mind". This is an even further exploration into a new minimal funk and socially engaged music. Listen to Deepfreeze, P.O.P. generation or New face Deli, being protest songs against the new generation of media boosted artists, where video culture is gaining more influence than sheer musical value. A year later, James Mtume decides to leave this part of the music scene. He later admits that he could no longer cope with the new culture and breed of artists and record companies that focused more on fast money, fashion trends and shock values than on musical value and education. Meanwhile, James Mtume found an outlet for his musical creativity as musical director of a NY theatre. Help! Is there any way to play the intro "Sais" and the following song "Sais"?????? Is there a way to play it on this website?